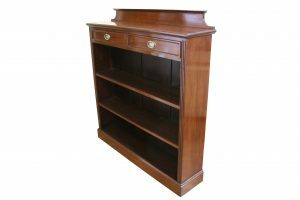 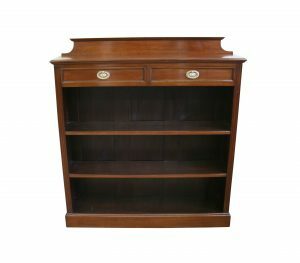 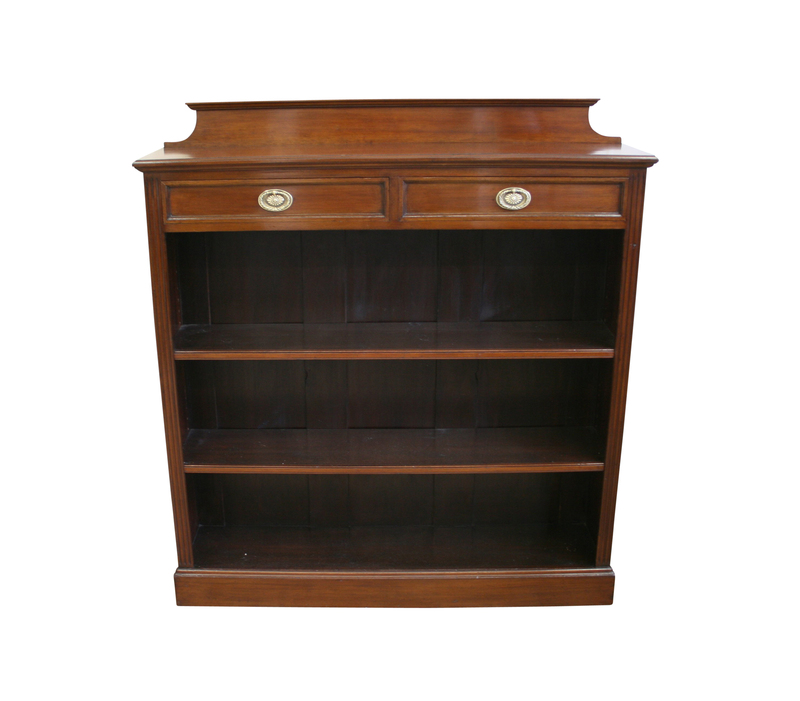 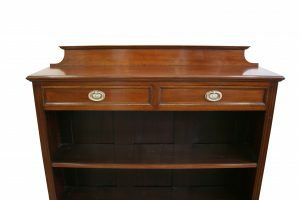 An Edwardian mahogany open front bookcase. The moulded top with shaped upstand sits above a pair of frieze drawers. These are mahogany lined fitted with brass oval handles. 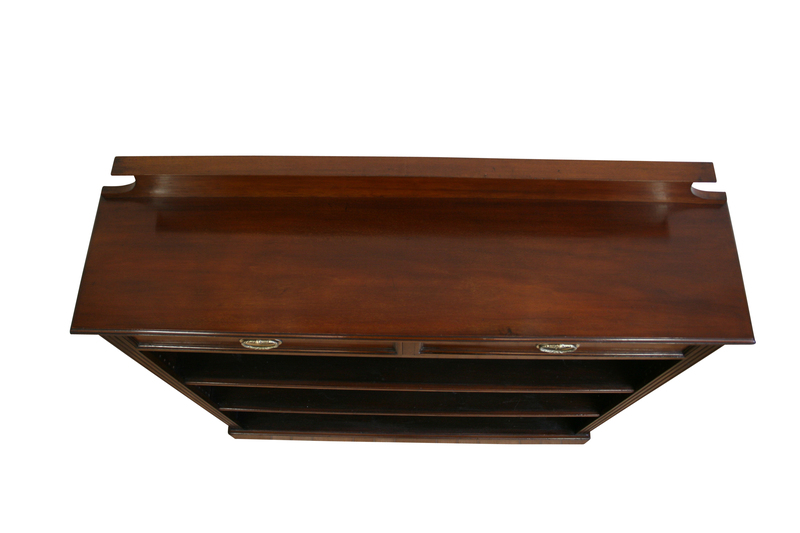 Below are two adjustable shelves and a base shelf. 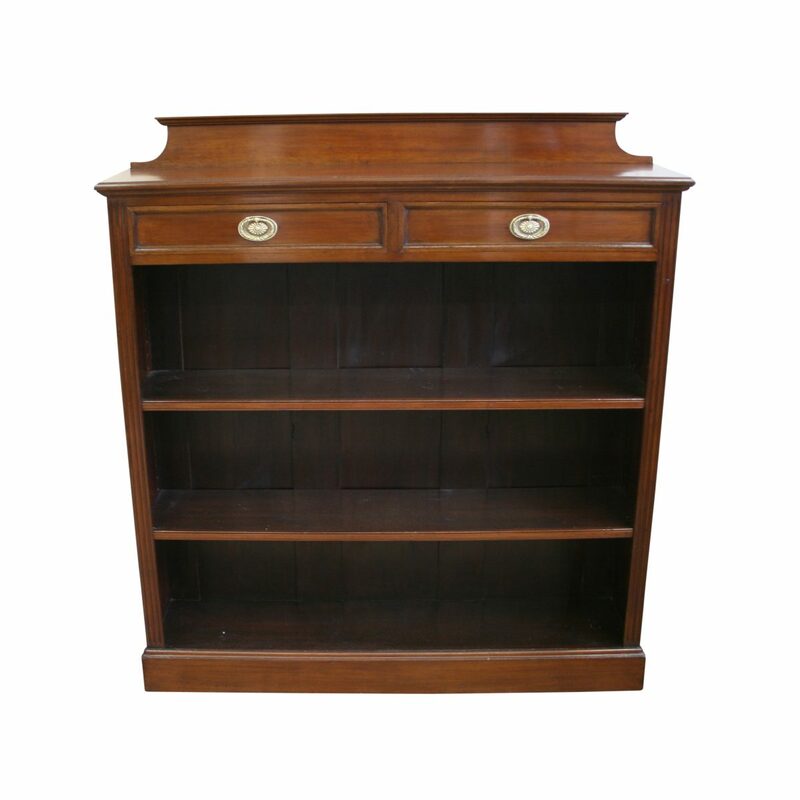 The shelves are flanked by fluted columns. It is raised on a plinth base.